just changed the front springs, shocks and top mounts and bearings and got a new rattle from the front, curses. everything seems tight and it went through the mot wobbly plate test ok.
with the weight off the front wheel, the bearing cup does move a bit, is this normal? I'm no expert, but would say it doesn't look ideal. When I refreshed my 997 there was nothing wobbling about like that, the whole assembly was very taught even before it was on the car. Sure some more knowledgable will be along soon! Ok .. that's not right , is the top mount the correct one ? You seem to be missing the rubber as well , it sits on top of the spring .. although to be fair i only know the Porsche items and not aftermarket stuff. Either way you shouldn't have movement like that and i would refrain from driving it atm . thanks demort for taking the time to reply, I bought a new 3, the 11 and 4 came as a bearing kit and i reused 5, the movement is between 3 and 11 when the load is off. odd one really, a better photo I took the top nut off and moved the spring aside to show. I checked the part numbers on that site .. i don't have pet .. and there are x4 different top mounts but only x1 of no. 11 so logically it will fit all of them . The part i thought was missing i can see in your picture . 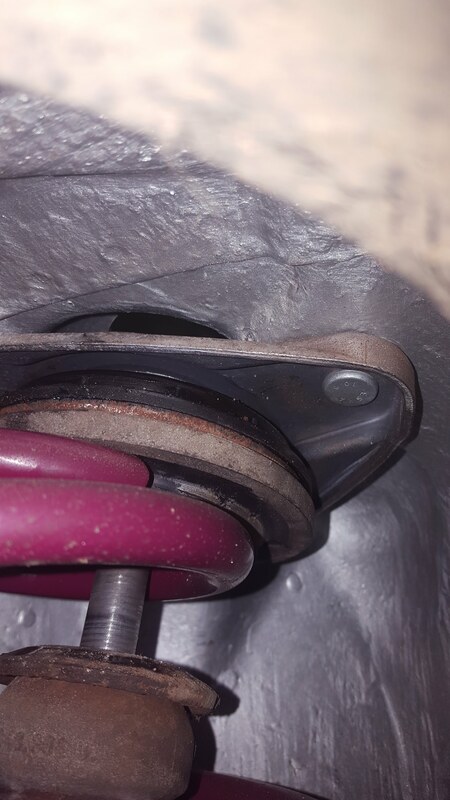 The picture does show the coil spring off to one side though .. this makes me wonder if the spring if far lower than a standard Porsche spring and what we are seeing is actually some tilt and not just sideways movement due to no pressure at all on the spring in the jacked up position . What i would like you to do is put a bit more load on the wheel / spring .. lower it down onto the floor a bit and see if you still have sideways movement .. confirm there is actually a fault basically . Its certainly not something i see on a normal set up as how you checked it is what i do . You also now have a noise that wasn't there before which is also of concern . EDIT .. is it the same both sides ?